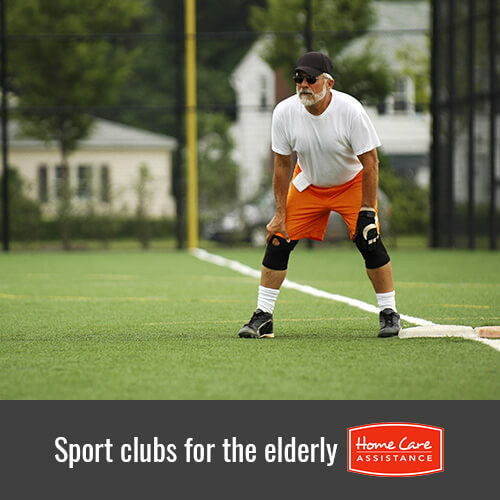 Providers of Rhode Island elderly care believe seniors benefit both physically and mentally when they engage in sports with other aging adults. Below are a few local sports clubs seniors can join to boost overall wellbeing. Seniors who want to hit homeruns and enjoy some camaraderie in a competitive environment can join a traveling softball league. The league has days of play on Sunday mornings with 30 games played over a period of 15 weeks. Each team has its own field for those who are familiar with the rules and are over the age of 50. Players can also participate in double elimination playoffs during the championships with 24 different teams available to join. If your loved one is recovering with help from Rhode Island stroke care, he or she can increase his or her upper body strength and boost cardiovascular health after joining the league. Local seniors can join a bowling league in Rhode Island for fun or to enjoy a bit of friendly competition where leagues welcome players to bowl their best frame. Seniors who sign up can take advantage of benefits that include playing two free games each week and discounts on food and beverages from the on-site cafe. A low league practice rate is also offered to players, in addition to discounts on AMF parties and other fun events hosted here. Members can enjoy a laid-back environment that allows them to increase your skill level and exercise their arm strength. Encourage your loved one to visit Fore Court Tennis to participate in tennis leagues that play from Monday to Thursday each week from 9am to 11pm. Players can also visit the court on the weekends to improve their game. The tennis season is run during the months of September to May for 37 weeks. Players can also enroll in private tennis lessons or semi-private lessons in groups of three or four to develop their fitness and mechanics to help them gain more of an edge while on the court. With help from Home Care Assistance of South Kingstown, RI, seniors get the live-in, hourly or Rhode Island respite care they need to lead active lives during their golden years. Call (401) 284-0979 today to have a trusted Care Manager customize a unique care plan designed to boost your loved one’s physical, emotional and mental wellbeing in the comfort of home.